This Week's VR Game Roundup -- Raid Tombs, Train Birds, and Stop Mad Scientists! Are goofy time travel stories and mad scientists your thing? What about swinging a sword at anything standing in your way. If that sounds up your alley, then Time Warrior Z VR is a game to check out. An evil scientist long since banished by the heroic Time Lord has returned with the power to control any object. It’s up to you to put a stop to him using your brains and your brawn. Time Warrior Z VR makes use of the Vive’s tracked motion controllers for its swordplay. Your reaction times have to be perfect, as projectiles will be flung at you. By swinging swords, axes, and other melee weapons, you can slice them in half and keep the Time Warrior safe. Creatures will also rush at the screen, and must be cut down to size. Virtual reality is the perfect platform for arcade-style shooting like what you’d see in House of the Dead. Drone Striker delivers this exhilarating action in a futuristic environment, with mechanical insects attacking from all directions. As the leader of a special forces unit, you must use your skills and weaponry to put a threat to this menace before it’s too late. Anyone who has ever played a difficult light gun shooter in the arcade knows that it can be a workout. The enemies pop up across the screen in Drone Striker with startling agility, and you must quickly move your tracked motion controllers from side to side to eliminate them. If it’s too relaxing, you can bump up the difficulty and compete for the top spot on the world leaderboard. 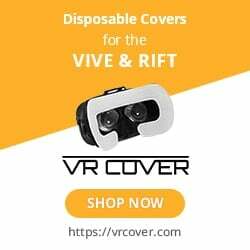 Compatible With: Oculus Rift, HTC Vive, PlayStation VR. From the creators of the smash-hit VR game Job Simulator comes Vacation Simulator, but this game is more than just relaxing on a beach! The hilarious and charming VR game is designed for players of all comfort levels, so you won’t have to worry about motion sickness as you explore the virtual island. Your vacation is what you make of it, and there are plenty of options here. Vacation Simulator features numerous mini-games based on sports, including basketball and boat racing. You can also swipe with your hands while pretending to be an animal, have a snowball fight, or climb mountains. If you don’t want to bask in the sunlight, you can turn down the temperature and ski. Who says vacations are just for sitting around and being lazy? One of the most unique games available on PlayStation VR or any other VR headset, Falcon Age puts you in shoes of a falconer on a dying planet. Through your friendship, you learn to work with the bird as you attempt to escape capture and free the land. You must raise the bird, craft objects, hunt, and – of course – fight against your enemies. Falcon Age supports several different control schemes for a variety of players, including PlayStation Move. When in combat, you’ll use futuristic weapons to take out the invaders you face, and you’ll be able to use the controller to interact directly with the bird, as well. You can even dance with the little fellow, if you so choose. There’s no one there to stop you! No, Lara Croft won’t be joining you on this VR adventure, but Tomb Slayer is made in the spirit of Tomb Raider. Set in an Egyptian environment oddly filled with futuristic weapons, you must overcome the monsters hiding within. You can customize your fire rate, damage, and bullet speed using upgrades, and the wave-based structure challenges you to survive as long as possible! Tomb Slayer uses the Oculus Touch controllers, and you’ll fire them in a dual-wielding position. This means that your arms will essentially always be in the “ready” stance as you swing from side to side and engage the monsters walking ever-closer. It supports 360-degree tracking, as well, so you can swing completely around as you’re fighting off the horde.